Who said you can have too much of a good thing? 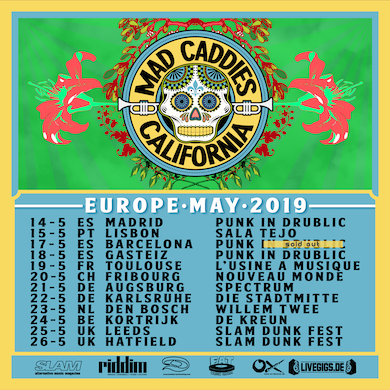 Mad Caddies are currently making our hearts beat faster on their Sunshine On Snow tour but as they cannot stay away from Europe for too long they will be back in May! !